Dr. Stein retired from practice at the end of 2011. Trained at Northwestern University, Dr. Stein worked as a teacher (Rutgers and Princeton Universities), researcher, consultant, and as a clinician in the private practice of clinical psychology for nearly 30 years. He was named the "featured therapist" of the Association for Behavioral and Cognitive Therapies. 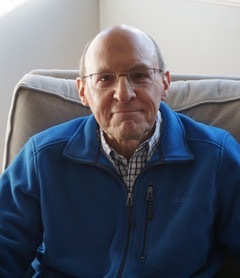 He served as Chief Psychologist at Forest Hospital and performed consultations for the Chicago White Sox, Chicago Black Hawks, Chicago Symphony Orchestra, Right Management Consultants, and Rush North Shore Medical Center. Dr. Stein was an expert appointed by the United States District Court for the Northern District of Illinois in the case of K.L. vs. Edgar, which involved the evaluation of the Illinois Department of Mental Health. Dr. Stein performed more than 2500 psychological and neuropsychological evaluations on referral from other mental health professionals. He remains a member of the Association for Cognitive and Behavioral Therapies, the American Psychological Association, and the National Register of Health Service Providers in Psychology, as well as being licensed in the State of Illinois.